Drivers in Ontario are being given a chance to voice their opinion about auto insurance in the province. Ontario auto insurance rates are on the rise. In mid-January, the Financial Services Commission of Ontario (FSCO) announced in their quarterly statement that car insurance rates for many Ontario drivers will be going up on average 3.35 per cent. It's not the first time that rates have risen in recent history either. Over the course of the last two years, Ontario auto insurance rates have increased every quarter except one. It's a trend that the province likely assumed would continue, which may be why, ahead of FSCO's latest announcement, the province invited Ontario's almost 10 million drivers to share their views on how to lower auto insurance rates. "Auto insurance rates in Ontario are among the highest in the country, and action is needed," said Vic Fedeli, Minister of Finance in a press release. "We want to hear directly from you on how to improve the system." To this end, drivers can share their views with the province by completing a short online survey which should take about 10 minutes. 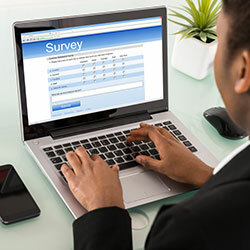 The survey closes on February 15, 2019. The consultation with the province is an opportunity to have your say that the Insurance Bureau of Canada (IBC) urges drivers to seize. "We're encouraged that consumers are being asked to share their views, and we look forward to working with the government to fix auto insurance in this province," said Kim Donaldson, Vice-President, Ontario, IBC in a statement. Until such time the trends reverse, one of the most effective means in lowering your car insurance rate is to compare insurance quotes. At Kanetix.ca you can do just that in minutes. Find the lowest car insurance rate out there by putting your current premiums to the test today for a better price.